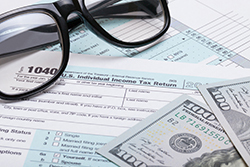 Turner CPA Advisors, PA, a PensacolaCPA firm, provides State and Local Tax (SALT) services to Fortune 1000 and closely-held companies that operate in a multi-state marketplace and want to navigate complex state-local tax regimes. Our clients often find it difficult to comply with these state and local regulations and avoid tax assessments with penalties and fines. Our State and Local Tax (SALT)services feature a network of attorneys that have significant experience representing clients in state tax controversies, multi-state tax planning, and the legislative process. Because we do not have attorneys on staff, we will recommend one that is best suited for your industry and geographic situation. Call us today at 850-438-4669 and ask for Jeff Turner to discuss your needs with an experienced Pensacola CPA.